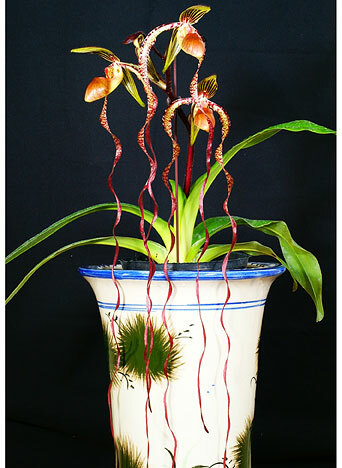 The grandest of the grand among multifloral Paph. species ! Bred by Mr. Bear using two of his select clones, we are expecting a much improved form and stronger color from this sib cross of the species with its dramatically long and boldly twisted petals. 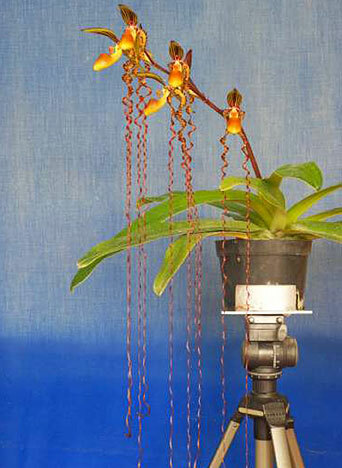 Its up to 2’ long inflorescence can carry up to 5 simultaneously opening flowers for the ultimate in the WOW factor. In nature, this species receives heavy rainfall year ‘round, accompanied by a large day to night temperature spread and heavy dew. Very Highly Recommended !